I have always loved the idea of the famous "Morning Glory" muffins. 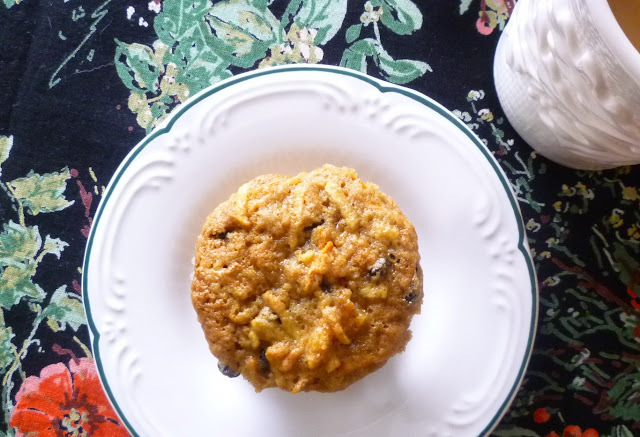 Who wouldn't like the idea of a cinnamon scented muffin...loaded with carrots, apples and pineapple...as well as coconut, nuts and dried fruit? Unfortunately, my love of the idea has never translated into making them. Part of the beauty of muffins is that they are quick to make. 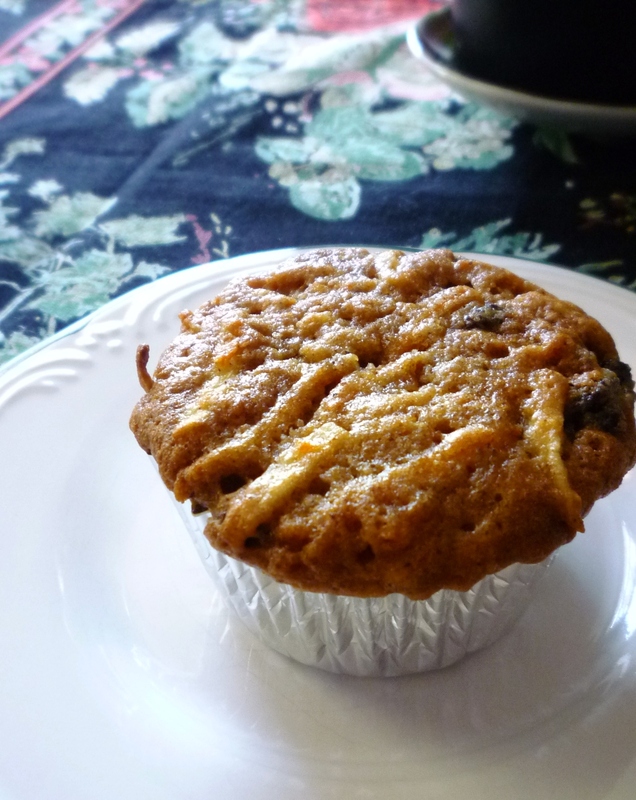 If indeed they are made using the "muffin" method, they are among the quickest to make of all the quick breads. If you have to run out and get special ingredients...they sort of cease to be quick. And therein, for me, lies the problem. I just don't keep some of these items—coconut and canned pineapple, to be specific—on hand. For many, this issue of a trip to the store would probably not be something to even think about. But in my world, muffins are almost always something I make on the spur of the moment. 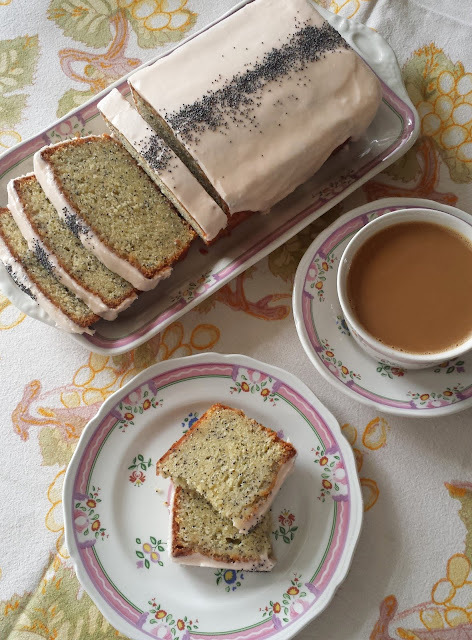 For example... when it's ten o'clock at night....and I discover that I have allowed my supply of coffeecake, tea breads and scones in the freezer to dwindle to nothing....and I am facing a morning without cake. This is the moment for a muffin. And it is not the moment when I am going to run to the store. 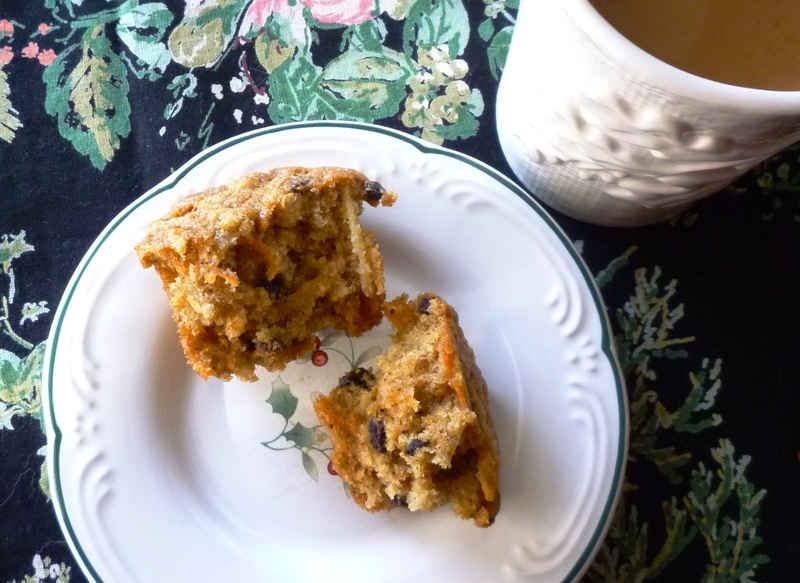 Even so, the idea of this old favorite is so appealing that when I began to think about a muffin recipe that I could include in an upcoming breakfast breads class, it was this muffin that came to mind. Since I still wanted a recipe that I could make with things I keep in my pantry, I decided to adapt it a bit...omitting the coconut and the pineapple....and in the end the nuts too. I actually think it would be delicious with nuts...but I seem to put nuts in everything, so I decided to leave them out of this particular recipe. If you want to add some, a half cup of toasted chopped pecans or walnuts would be perfect. Besides tweaking the amounts of the basic ingredients (flour, leaveners, spices, etc. ), I only made a couple of other significant changes. First, I substituted brown sugar for part of the granulated white sugar. Brown sugar adds moisture and intensity of flavor and seemed like a good fit for the spices, carrots and apples. I tried it once with all brown sugar and don't really recommend it. The resulting muffins were so moist as to be almost damp...even though they were fully baked. The other major change I made was to use olive oil instead of vegetable oil. 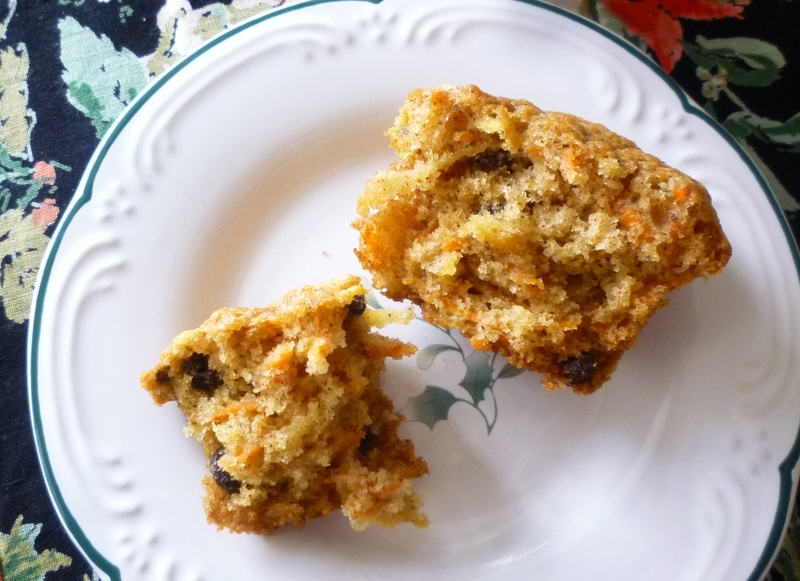 I remembered how nice it was in Gina DePalma's zucchini cake (that I made last summer) and felt like the spices, brown sugar, carrots and apples could all stand up to its naturally more robust flavor. It worked beautifully, giving the muffins more depth of flavor and a pleasant, slightly bitter edge. I am super happy with these muffins. They use only staple ingredients that are part of the standard baking pantry...and fresh ingredients that most people will have during the winter months in their produce bins (carrots and apples). 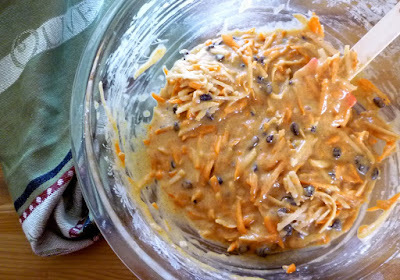 Currants might be outside of the range of "standard" for some, but you can of course use dark or light raisins instead. 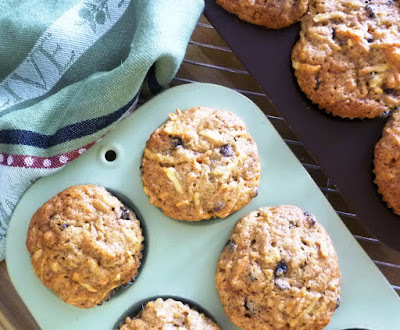 Best of all, these muffins are everything a good muffin is supposed to be: a quick to make, sweet and tender, little bite of cake. Place the dry ingredients in a small bowl and whisk to blend. Set aside. Place the eggs and vanilla in a large bowl and whisk to break up the eggs. Add the sugars and whisk until smooth. Add the oil while whisking constantly. Whisk until the mixture is smooth, homogenous, and thickened. add the carrots, apples and currants. Continue to fold, just until blended. Using a 1/4 cup (2 oz.) sized ice cream scoop, divide the batter among twelve muffin cups that have been lined with foil or paper liners. The cups will be almost full. Transfer to a 350° oven and bake until golden brown, springy to the touch, and a toothpick inserted in the center of one of the muffins comes out clean....about 25 to 30 minutes. Let the muffins cool in the pan for five minutes before removing to a wire rack. Serve warm or at room temperature. The muffins will keep well at room temperature...(if stored air-tight) for a couple of days. Freeze them for longer storage. If you like, add 1/2 cup chopped, toasted pecans or walnuts. 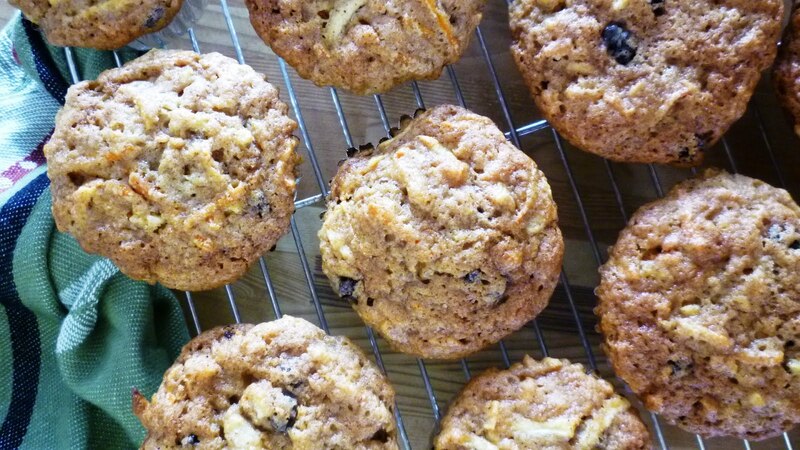 Use any crisp, juicy, flavorful eating apple that you like (you will have half an apple to snack on after making the muffins). I have made these with both a Golden Delicious and a Pink Lady. These muffins are even better the next day...moister and more flavorful. I'm going to have to make these in gluten free form. I feel like they would be delicious topped with some cream cheese frosting (I wish.) But I know that would them make them a cupcake, so I'll settle for muffin. ;) Oh, but wait, you said cake IS for breakfast. Ok, ok, I'm teasing, no frosting.